Publisher3D PDF is a easy-to-use and inexpensive software product that allows you to import 3D models, pick a template and publish industry standard 3D PDF. For full-featured technical illustration and documentation solutions, ask your Siemens Reseller about QuadriSpace Professional solutions. Dynamic Designer Motion allows the dynamic motion of Solid Edge assemblies built from moving parts to be easily simulated. The motion and forces that results from the dynamic motion are calculated. All without leaving Solid Edge. Drawingmanager, a very powerful, effective and low cost software specially designed to find and manage Solid Edge files. Automatic exchange of drawing templates or background sheets in Solid Edge Draft files. EDGE plm software pty. Ltd. 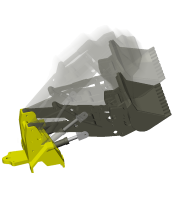 The AEC Cloud Generator allows users to quickly create internal and external revision clouds to indicate changes on Solid Edge Draft documents. This simple Solid Edge app allows users in the Architectural, Engineering and Construction Industries to conform to the AEC drafting standards. Element for quality management within the product development process. KeyShot Pro gives user all the advanced features for getting even more control over their materials, lighting, images and workflow, plus supports over 20 most commonly used CAD formats. PCBto3D™ is a software tool that bridges the gap between your electrical world and the 3D mechanical design world. PCBto3D™ does this by generating a 3D board design from the industry standard IDF printed circuit board format. The application “LinkRecovery” aims at recovering and fixing Solid Edge broken links. By analyzing a shared file storage repository containing an huge amount of Solid Edge files, the app runs different analysis to detect duplicated files and broken links and automatically recover and fix them. 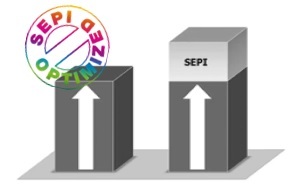 SEPI optimization (Solid Edge Performance Index) - Check out the CAD performance of your workstation with the SEPI Benchmark-Tool! EdgePLM ChangeBackground enables the exchange of background sheets in Solid Edge drafts. EdgePLM Groove automatically creates inside and outside relief grooves on Solid Edge rotation models, both user defined and according to DIN 509. 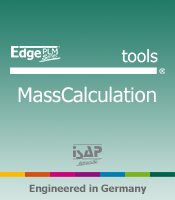 EdgePLM MassCalculation facilitates the cost calculation. It computes the summed-up weight of configured materials within a Solid Edge assembly and transfers the calculated weights to the Solid Edge properties and the ERP system. 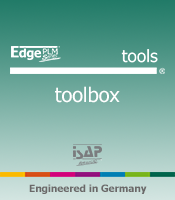 The EdgePLM toolbox is a tool for the preparation of dxf/dwg files for the use of 3D.